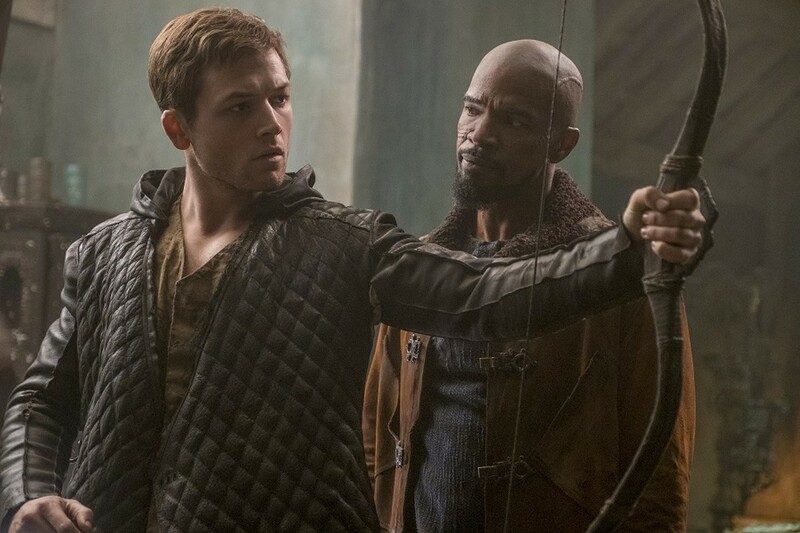 Taron Egerton and Jamie Foxx in "Robin Hood." A new adaptation of the Robin Hood legend swings into theaters this week, asking audiences to consider the question: Do we really need another big screen origin story about the good-hearted outlaw who robbed from the rich and gave to the poor? Or rather, it asks the question then stands there awkwardly before shrugging its shoulders and running off into the woods without caring about the answer. The newest version never truly makes a convincing case for its existence, but well, here it is anyway. The main concept behind this reboot (besides a chance to make a few bucks off a story the public domain) seems to be director Otto Bathurst's desire to make a Robin Hood that's relevant to the politically active youth of today. So we get a Robin Hood that mixes aspects of modern protest culture with the story's inherent socialist ideals, and places Trump talking points in the mouth of the Sheriff of Nottingham. As a young man of noble birth, Lord Robin of Loxsley (Taron Egerton) enjoys a relatively carefree existence, devoting most of his time to romancing his lady love Maid Marian (Eve Hewson). But that all ends when he's suddenly sent off to join the Crusades. He returns two years later to find that the odious Sheriff of Nottingham (Ben Mendelsohn, absolutely chowing down on the scenery) has seized his property and after Robin was reported as dead, Marian has shacked up with a new beau, aspiring politician Will Scarlet (Jamie Dornan). Seeking revenge, Robin makes an alliance with an escaped Saracen warrior named Little John (Jamie Foxx), who soon becomes his friend and mentor. Together they organize the Hood's efforts to bring down the ruling class and the corrupt Sheriff, who's has been taxing the citizens unjustly to fund his war effort. As the Hood gains notoriety, more are eventually inspired to join the cause. For a while the film is able to coast on the natural charisma of its game cast, covering up the fact that as appealing as Egerton, Foxx, and Mendelson are, the story hasn't provided them with actual characters to play. 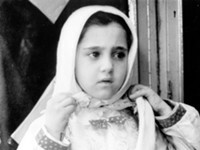 There was also an opportunity for the film to flesh out Marian's characters into something more than a pawn in the men's games, but that doesn't really pan out either. There are some interesting ideas attempting to add some relevance to the story, including a Crusades battle sequence modeled to look like the modern war in Afghanistan, and an uprising of peasants costumed to look like Antifa. But these ideas don't get attached to any kind of coherent message. And Bathurst's clumsy way with action sequences does nothing to help matters. The screenplay by David James Kelly and Ben Chandler occasionally seems to know how ridiculous it is, but doesn't lean into that nearly enough. Tapping into some of Robin Hood's characteristic sense of humor and playfulness would have gone a long way, but for the most part, Bathurst plays things with deadly seriousness. The result is a derivative action-adventure (down to a pounding Joseph Trapanese score that desperately wants to remind you of Hans Zimmer in "The Dark Knight" mode) that feels like one missed opportunity after another. Tags: Movie Reviews, Film, Film review, "Robin Hood"